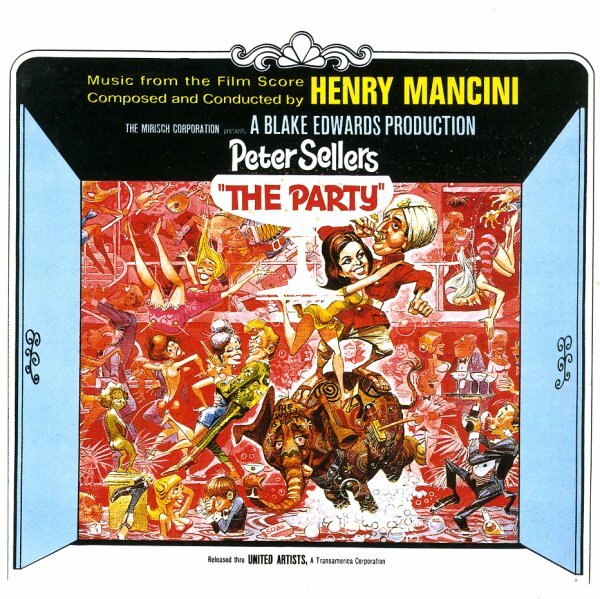 A great Mancini score for one of the goofiest films of the 60s! Peter Sellers stars as the sitar-playing Indian actor Hrundi Bakshi – next to the lovely Claudine Longet, who makes one of her few film appearances – and the whole thing's set to one of the greatest scores ever by Henry Mancini! The tunes are very groovy – with a few chorus vocal numbers, and some other wonderful tracks that mix together bits of sitar, guitar, and horn blasts – creating a very lively instrumental groove. Plus, the music is played by a tight group of LA jazzmen – with Plas Johnson on tenor, Jack Sheldon on trumpet, Jimmy Rowles on piano, and Shelly Manne on drums – all musicians who really make things cook! Titles include instrumental and chorus versions of "Nothing To Lose", plus "Chicken Little Was Right", "Birdie Num Num", "Party Poop", "Wiggy", and "Brunette In Yellow". Swingin! © 1996-2019, Dusty Groove, Inc.